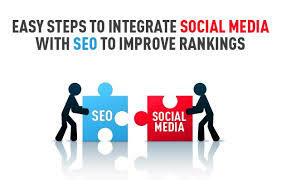 Integrate Social Media With SEO: In common language, Social Media Marketing & SEO (Search Engine Optimization) are dependent & interlinked strategies. Both strategies can give you organic traffic, also focuses on inbound traffic that can be used to build & appeal visitors naturally & in an organic way. As social media also relies heavily on high-quality content & a strong base of brand presence can be an added advantage. The efforts that you invest in SEO can get double with your social media reach, also this is the fact that can be heard by many search engine marketers that the more your social media presence is the results can be increased in your search rankings. If you are consulting any search marketers they try to HIDE the facts on how social media can influence your Google Organic Rankings or some of them do not know the strategies themselves to explain it to you. The more followers you have on Social Media can have a more significant influence on your rankings & traffic. A company which has a Twitter account with 50 to 100 followers do not get any ranking bonus from Social Media that a company big or small has a million followers on Twitter & a million Facebook page likes can get. This does come with some stipulation as Google is able to detect the quality of your followers, which means if you buy 50,000 or 100,000 proxy or paid followers then this is not going to impact on your Organic rankings. If you want your Social Media to give you results in Organic Results then you have to build your followers manually & organically. To increase your followers is a slow process, but it is also effective with your consistent interaction with your followers. Brand should be presented in a unique way with on a daily basis. Posing useful articles about your brand can be a help to stay connected, tips, general discussion or open inquiries also follow-up with your users in a conversation with a direct engagement with them. By initiating conversations & replying to direct messages are key to build a strong follower base & retaining them, with interactive following they encourage followers to revisit your social page & this helps to build your authority for the new potential audience. External inbound links are good for site & also good for ranking. Social media is also useful because it can encourage more external sites to link to your content as this can bring more visitors to your site, and the more diverse external links you have, the more authority (DA’ PA) you can gain in Google’s eyes as it will give your site more value while showing your results in any search. Of course, the catch to this is that you have to have high-quality, authoritative content to begin with & more the content can get you authority. Without content on your site, your external links cannot perform. In general, when you publish content, social media serves simply as a broadcast channel. Your content, assuming it’s original and useful (Duplicating content is not recommended) is going to serve as bait, and your social channels are going to serve as fishing poles similar to your fishing routine as you are using content as your bait, putting the bait in front of the right eyes. Using hashtags to gain visibility for your initial rounds of syndication with relevant has tags for your business & content and don’t hesitate to bring your content into existing threads and discussions as content can gain you visibility. By performing so, it will improve your social reputation as an authoritative leader & gain trust among the audience, but the purpose of it, more importantly, it will maximize your potential external link & gain traffic to your site. 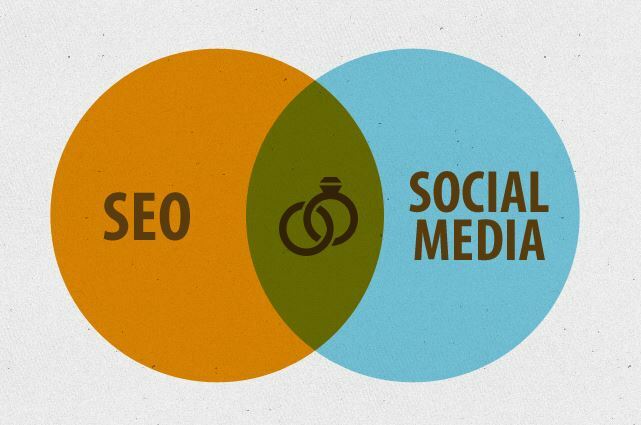 Don’t get confused in-between Social Share & using Social Profiles For Link Building as they are two different terms. If you interlink your social profiles with your website & your website sharing your social link icons is call social share buttons. There is another way that social profiles could be used to build links to the website as most people not knowing what they are doing & get their site into Spam & increase their Spam Score. One needs to be careful when using a company or personal online profiles to generate links as it is a tricky subject. As Some people or many think it is spammy or misleading, especially when someone creates profiles for the sole purpose of getting links. The thumb rule of Social profiles is to have only one genuine profile for a business. Well, this rule is often taken advantage for shorter goals without knowing the end results from some people create multiple social profiles for link building & eventually this can affect the site score & highly possible that their social profiles may get banned & in this process, they might lose their original profile as well. However, even though there are some shady marketers out there that intend to tweak & twist the real purpose of profiles, it doesn’t mean you can’t do it in a genuine way. Which can actually give you results for doing it right? In general, It is possible to have real profiles that share your information about the business, background, and accomplishments like success stories or testimonials etc, while also using it for more than just a way for people to find you online. As you could have seen that if you try to fine or research something online then the results also tend to show social profiles with details. The purpose of having online profiles on the main social networks and websites your core audience visit is not only important to online visibility as the social profiles can guide your visitors to your website where they can perform the purchase or service, but it can also help you grow your network, which can organically lead to drive more inbound links for your content. When people connect with a real person from a company that they are trying to engage can provide them a better trust & results that are done by a company profile. The social spamming has become so intense that many online users have started to ignore messages & requests from different brands on social networks as many different companies & brands try to lure them to buy products or share the content. Which is why if a personal executive profile outreach can give a comfort zone to the online users as it is a known fact that personal connection does matter & it may be also possible to share content in this manner, however, it takes some real work to build a strong relationship in the first place. There could be some digital marketing teams who may log into executive’s personal profiles to do the daily interaction for them as this is a common practice used by many top executives as they simply do not have to manage their personal executive profiles. However, there could be a drawback if the executive does not monitor the profile occasionally as he/ she needs to know what was said on behalf of him/ her & if he has to address it in person someday. The best way is to take a blueprint on a weekly basis from your online marketing team on what was going on & were there any concerns need to be addressed etc. As you both need to be on the same page all the time to run a successful business. Use LinkedIn to share your content with a specific group of executives. LinkedIn is the perfect major platform for this, as executives can have their own profiles and can share content as needed. This is the only platform where most of the executive profiles can be found & can be interacted with. If any executive is sharing any information or any link in person then they get more credibility, their link suggestions are much more like to be taken seriously by users than a company profile simply sharing links to their blog as the company profile blogs get very less interaction rate. The reason for the links getting more credibility as executive’s profile is “vouching” for the content, making it more trustworthy as the audience feel they are getting those links personally. Very often users like hearing the opinions of an influential person on LinkedIn or high profile people, so adding this personal touch can help increase interest in the content that you are sharing. Facebook is the best economical platform to deliver your Ads or promote your links as this is the place you can target your audience according to the specification that you require to promote the content. Facebook can provide you good results essentially, with the right targeting and even as little as $30 to $50 you can get your content in front of the right people on Facebook & if the content is trending then your little investment can bring your organic traffic when people share your post. LinkedIn is a platform which you can use if you are targeting a specific or very narrow group where you only want to reach some decision making executives to get them interested in your content as LinkedIn promotion is expensive than any other social platform offers. So use it wisely & do a narrow targeting. Social profiles can help you to keep your audience updated with your content & promotions as it takes some time to increase the network but it does pay once you have some audience on your network. As you grow your network, you’ll find that people are more likely to share content with people they know, like & your website hits keep increasing, and trust. By focusing on building your online profiles by staying active is the key to getting results, sharing interesting and relevant information on a regular basis can keep your audience active on your content.